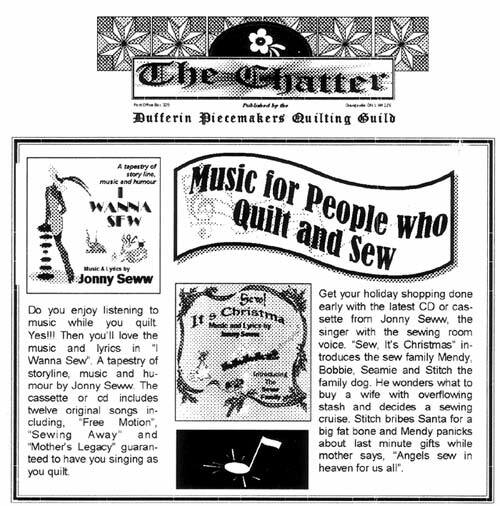 With a velvet voice and unmatched instrumental numbers, this is the ultimate sewist's & quilters music compilation. 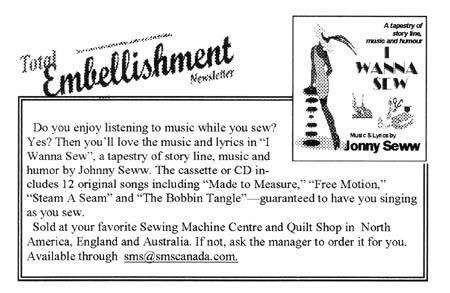 To sew with or to simply sit back and relax to, feel as Jonny Seww sings just for you! Although Jonny sings in english, the sound is universal and all CD's feature a number of intricate instrumental tracks. 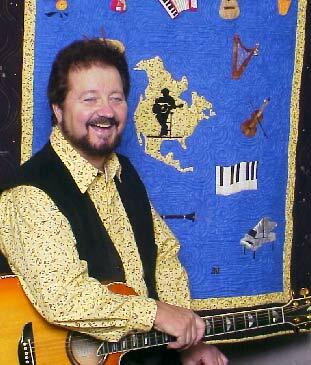 Three incredible CD's all relating to sewing and quilting with instrumental pieces that take your breath away. 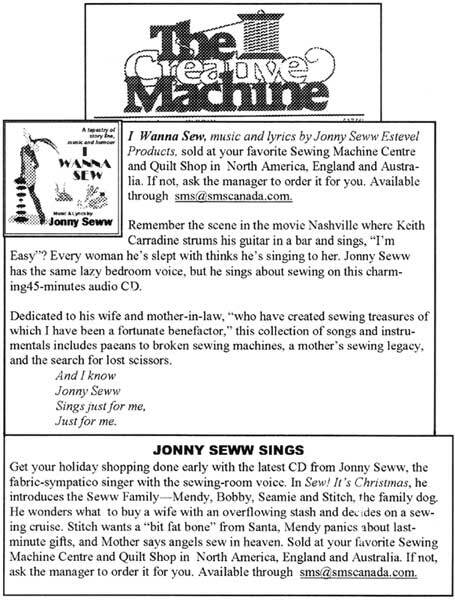 Trade Magazine articles reviewing Jonny Seww's excellent music CD's. High Quality downloadable samples from Jonny Seww CD's! You will find a 30+ second sample from every song on Jonny Seww's CD's below. To listen to these sound samples, click on the track title and your default sound program will play the sound clip. If your browser asks you whether you want to open the file, or save it to your computer, click on "open" to open the sound file with the default music player. If you are unable to open the song directly from this web page, try saving the file to your computer, and opening it directly from your own computer. 1. Right-click on the song title, and choose "Save as..." from the menu. 3. Double-click on the sound file to open it and listen to the song preview.